Rahul Dravid might have suggested holistic education for young cricketers now, but Anil Kumble had made three presentations to BCCI brass 10 years ago. Bengaluru: Rahul Dravid, the former India captain and current coach of the India A and Under-19 teams, is being hailed as a revolutionary of sorts for having met officials of the BCCI recently to recommend a more holistic approach to training of cricketers, especially youngsters. Dravid is believed to have stressed on the need for soft-skills training, broadening perspectives and preparing cricketers for a life beyond cricket. While Dravid is well-placed to make these suggestions, and they are desperately needed in cricket, as the episode involving Hardik Pandya and K.L. Rahul and their remarks on a talk show highlighted, this is far from the first time such an approach has been recommended to the BCCI. In fact, it was another former India captain and coach Anil Kumble who first mooted such a programme. Back in 2009, Kumble had approached the BCCI with a detailed presentation on the need for players to be educated on a wide range of issues outside of cricket, issues that they would face and challenges they would need to overcome in their pursuit of a career in sport. Kumble, it is reliably learnt, approached the BCCI twice more in the years to come, not only formally making the presentation to key officials, starting with but not limited to then-president Shashank Manohar, but did not receive any meaningful response that would take the initiative forward. What was in the presentation? Kumble’s presentation talked of how the pursuit of cricketing excellence compels players to reduce their focus on education, and how this can be a serious problem because only a small fraction of young players actually go on to make a life for themselves in the game. It went one step further, exploring the anxiety of parents of such cricketers, who are forced to make a choice between the game and other avenues at an early age. It lists other challenges such as dealing with the media (and the need for this, even if it is a talk show hosted by a Bollywood personality, is clear and present), it looks at cultural issues when being part of a team environment made up of individuals from diverse backgrounds and it stresses on the need for the development of life skills. 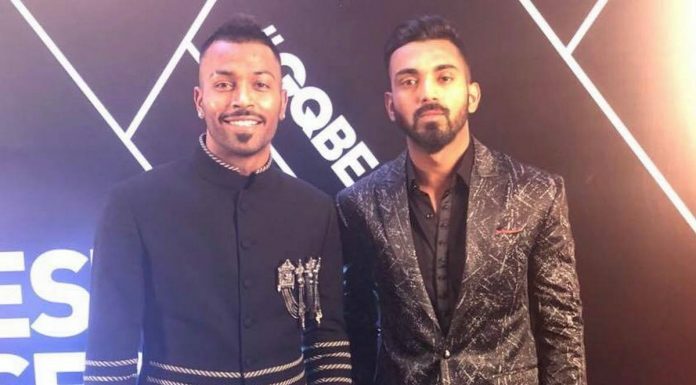 The programme suggested initially included a pathway through which young cricketers could pursue education while trying to make the most of a life in cricket. This included the opportunity to acquire an educational qualification — through distance education, allowing for double the usual three years it takes to graduate in a traditional college environment. All that was needed from the BCCI was the mandate to implement this, which was not asking for much, and the funding to get it going on a national level, through state associations or affiliates. The BCCI likes to think of itself as a $2 billion organisation, but it did not feel the need to invest in its own core stakeholders. After all, the cricketers in the professional system represent not just the BCCI, but India on a global stage. Why an organisation that is flush with funds would not redirect a small fraction of these revenues into strengthening its players, is a question only those in power at that time can answer. The proposal broke down the pathway into multiple modules, covering different aspects from players better understanding themselves to improving verbal and written communication skills in one-on-one and group situations. It incorporated problem-solving, anxiety-reduction and the need to equip young men and women to be able to deal with new situations that were forced upon them. It’s possible to go on and on, but the fact of the matter is that this comprehensive proposal — something that was badly needed back in 2009 and is even more critical in 2019 — merely gathered dust, and it is unclear if anyone with the power to make decisions of this kind even considered it thoroughly enough. The fact that Dravid has suggested a programme of sorts for young cricketers is excellent; the process through which employees of the new BCCI are seriously entertaining thoughts of putting something in place is encouraging. History, however, suggests, that intentions of this kind often fall on deaf ears in the corridors of power in Indian cricket. All you need to do is ask Kumble. If you/BCCI are a money minded then everything will be blind. If BCCI had considered Kumble’s view he would not have been removed from Coach.BCCI is deaf.